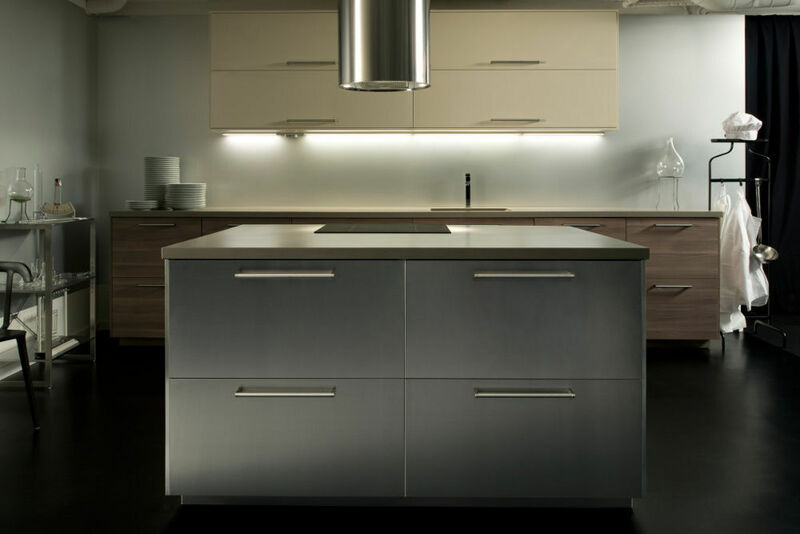 Trends in the design of kitchen space have changed significantly. Besides the fact that she was the kitchen area is much larger, it is often combined with the rest of the living space. In this regard, kitchen set should be in harmony with the overall interior design, capable of by bringing minor details change and adapt to the mood of the house design. IKEA as one meets these requirements and has been on the path of innovation. Not so long ago we informed our readers about the launch of a new series called Kitchen METHOD. You can read about it here. 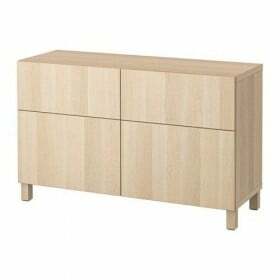 In this article, learn about the new product from IKEA closer. Released to the market new kitchens, displace a FAKTUM forever and forever. One reason for this claim - quite different dimensions of the newly headset. Base cabinet grow by 10 see: instead of the previous 70 see their height will be 80 see. At the same time changed the height of the legs. In its minimum value it will be 8 cm, and the maximum - 17 see. Now, by simple calculations becomes clear that 88 see - the minimum size of floor cabinets, which still Priplyusuet its height countertop. 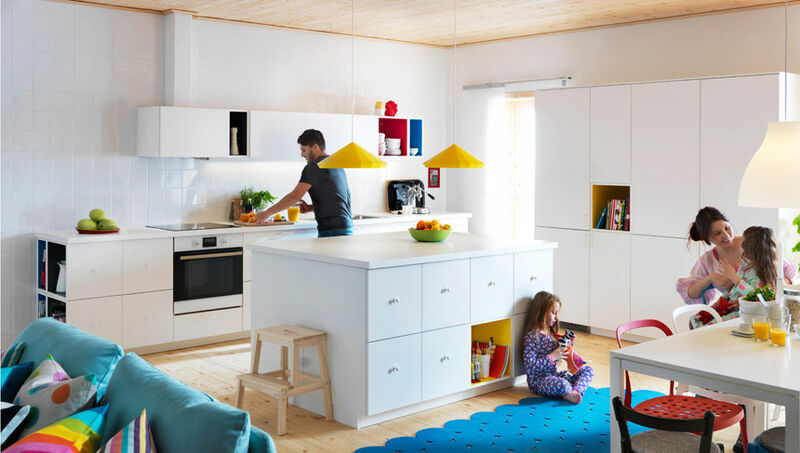 IKEA developers with the launch of a series METHOD apparently decided to go for bold experiments in everything, and presented modular system. Thus, consumers have the opportunity to play the role of the designer's own kitchen and furnish it according to your taste and desire. 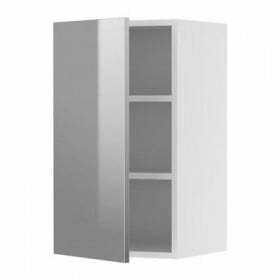 To do this, they can choose lockers wide range of 20 80 to see (namely 20 / 40 / 60 / 80 cm). To some this may seem insufficient to meet the raging fantasy. 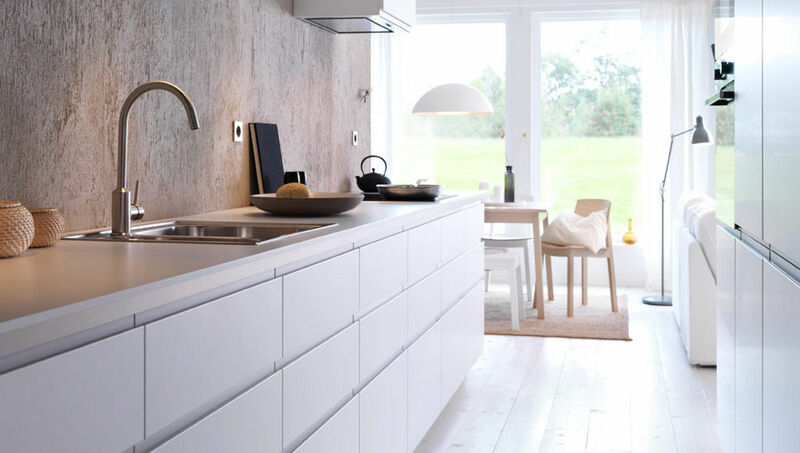 In our view, given the fact that the buyer eliminate the need to wait for the manufacture of kitchen in his own size, the choice is wide enough. 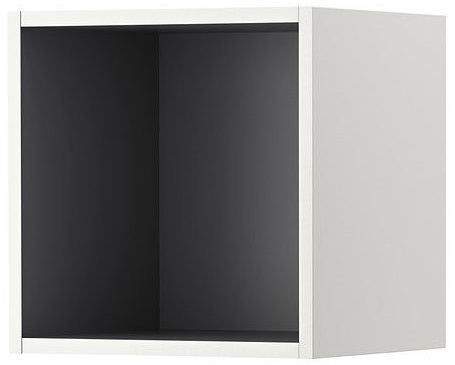 IKEA offers to use only 2 color solutions for frames: white, dark brown. For interior decoration carcasses meant a wider range of color inserts called TUTEMO. This tranquil gray, as well as more vibrant blue, yellow and red. Unfortunately, thus decorated frames presented not in all size versions. Such restraint in colors offset by the fact that the system method does not need to use the frame sides. 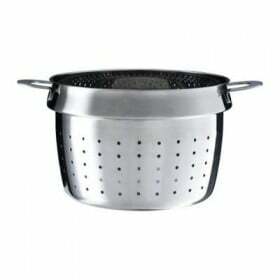 This gives the kitchen a touch headset individuality and originality. Also, if you have small children, do not deprive them of opportunities to spend time with you, even in the kitchen. Yes, IKEA thoughtful and this moment. The modular system allows you to select individual boxes for toys for children. 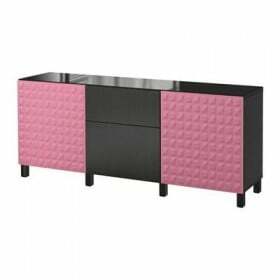 In the new kitchen series present 2 model boxes: MAKSIMERA и FORVARA. They differ among themselves to use the internal fittings. The buyer and there is a choice. In addition, the method provides an opportunity to pick up an external panel and internal filling separately. It is very convenient. After splitting into boxes comfortable to hold and use of internal space. But it is not necessary to demonstrate that the number of boxes in appearance. 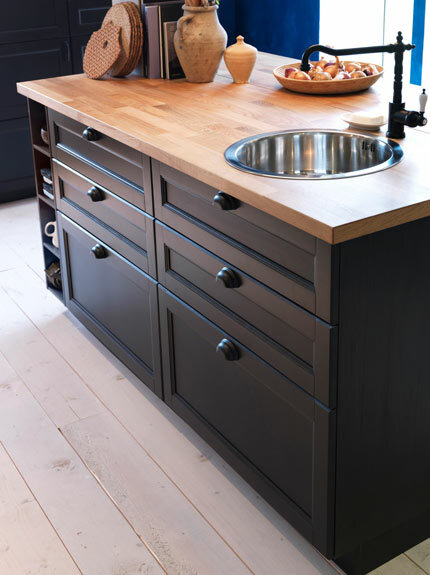 This solution allows visually clutter the kitchen cupboards while maintaining maximum functionality. Buyers will appreciate the increase in the number of holes, as well as their location inside the lockers. This solves the problem almost complete coincidence internal equipment with the desires of the buyer. 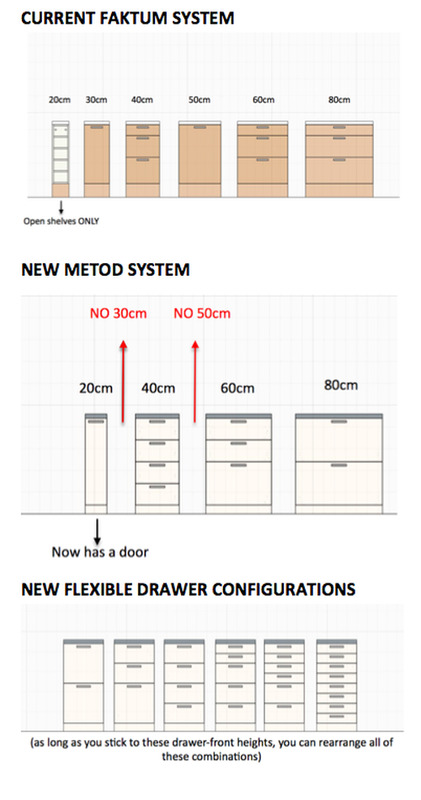 20 style solutions for doors, drawers together with 30-Tew options pens - a huge plus new series method. Summarizing, we can only say that the method is executed in the best traditions Scandinavian style. Simplicity and cold restraint border with high functionality. Take a look at the new series more closely. We are confident that a wide range of opportunities that it provides for creativity, will create the kitchen of your dreams.